Sir Michael Scudamore Redgrave CBE (20 March 1908 – 21 March 1985) was an English stage and film actor, director, manager and author. Redgrave died in a nursing home in Denham, Buckinghamshire on 21 March 1985, from Parkinson's disease, one day after his 77th birthday and his ashes were scattered in the garden of St Paul's, Covent Garden (The Actors’ Church), London. Redgrave provided his friend the actor and writer Godfrey Winn (also in the Navy at the time), with a memorable signal his ship made. The aircraft carrier HMS Illustrious was in collision with another carrier, HMS Formidable in poor weather visibility in the Atlantic, after the collision Illustrious signalled: "If you touch me in that place again, I shall scream". Winn, Godfrey (1944). Home from Sea. London: Hutchinson & Co. p. 115. Spoto, Donald (2012). The Redgraves: A Family Epic. New York: Random House. ISBN 978-0307720146. "Michael Redgrave". Performances. Glyndebourne. Archived from the original on 6 November 2013. Retrieved 6 November 2013. Bowker's Complete Video Directory, Volume 4. New York: R.R. Bowker. 1998. p. 1972. ISBN 978-0835240147. Vellela, Tony (28 May 1993). "From our files: An interview with Lynn Redgrave". The Christian Science Monitor:. Retrieved 6 November 2013. Farries, Kenneth (1985). Essex Windmills, Millers and Millwrights – Volume Four – A Review by Parishes, F-R. Edinburgh: Charles Skilton. pp. 121–123. ISBN 0-284-98647-X. Barber, Lynn (28 Apr 2004). "His necessary degradations". The Telegraph. Retrieved 6 November 2013. "Corin Redgrave, Actor and Activist, Dies at 70". The New York Times. 6 April 2010. Retrieved 3 January 2013. "Vanessa Redgrave 'Grieving and Glorying' After Sister Lynn Redgrave's Death". ABC News. 2010. "Rachel Kempson, 92, Matriarch of Acting Family". The New York Times. 26 May 2003. Retrieved 3 January 2013. 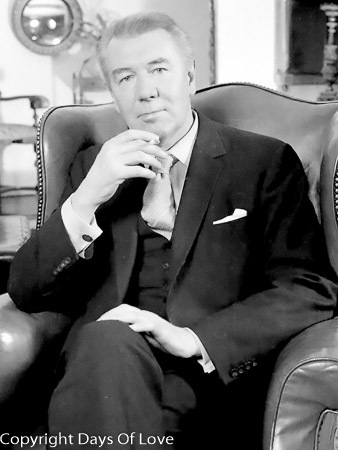 "Sir Michael Redgrave (1908–1985)". OutStories Bristol. Retrieved 6 November 2013. Wilson, Scott. Resting Places: The Burial Sites of More Than 14,000 Famous Persons, 3d ed. : 2 (Kindle Location 38997). McFarland & Company, Inc., Publishers. Kindle Edition. "9 Stage Veterans Enter Theater Hall of Fame". New York Times. April 22, 1986. "FILM WORLD". The West Australian. Perth: National Library of Australia. 28 February 1947. p. 20 Edition: SECOND EDITION. Retrieved 27 April 2012. "Vivien Leigh Actress of the Year". Townsville Daily Bulletin. Qld. : National Library of Australia. 29 December 1951. p. 1. Retrieved 27 April 2012. Kirby, Walter (December 28, 1952). "Better Radio Programs for the Week". The Decatur Daily Review. p. 36. Retrieved June 5, 2015 – via Newspapers.com. Kirby, Walter (January 11, 1953). "Better Radio Programs for the Week". The Decatur Daily Review. p. 42. Retrieved June 19, 2015 – via Newspapers.com.